We have officially reached June so that means that San Diego Comic Con is next month! Badges are currently being mailed out and some fans have already received their ticket for the magical four days that is SDCC. If you are on the fence on whether or not you should embark into the wonderful world that is modern comics, you should immediately go and pick up Saga #43 as it is only 25 cents!! You can get one of the best series on the stands for a quarter! Seriously!! Old Man Logan #24 - Jeff Lemire's run with Old Man Logan reached its conclusion today and it was an emotional one. Logan realizes that he can't just live in the past and bend it to his will. He needs to return to his body and forge his own path. When I heard Lemire was going to be authoring this series, I was hopeful and skeptical. 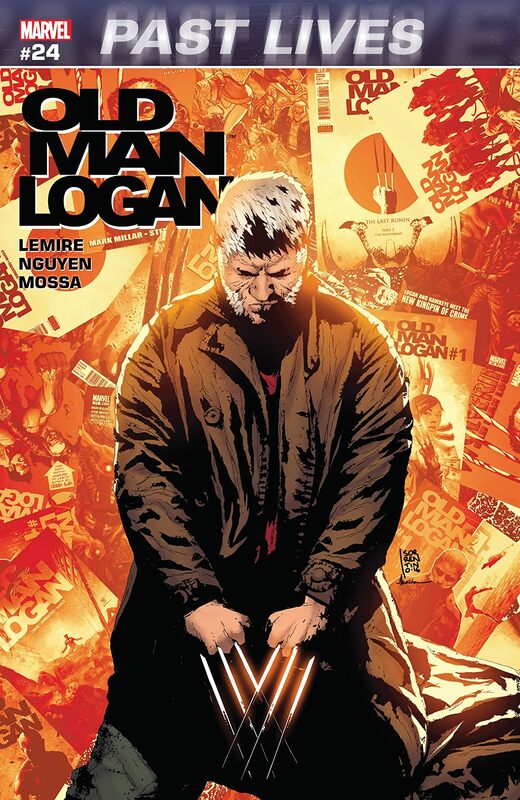 Lemire's books really hit close to home with me as a father, and he did a phenomenal job exploiting that strength of Wolverine and making it a central theme that carried itself throughout all 24 issues. This was a phenomenal story and a must read for any Wolverine or Jeff Lemire fan. Saga #43 - If you have never read Saga before and don't want to start at the first issue (what is wrong with you? ), this is a great point to jump on the series. I warn you that it deals with some heavy issues, including miscarriages and abortion, but it is well worth your time. This issue is a solid reminder that the story we are being told is through the eyes of a child. That perspective is sometimes lost in the chaotic world that Brian K. Vaughan and Fiona Staples have created, and the quick recap served as a way to ground this series from the viewpoint of Hazel. The number of social issues that Vaughan has addressed through this series is impressive and it continues to be one of the more powerful books on the market. Even if the heroes are battling poo beings sometimes. Secret Empire #3 - Nick Spencer and crew continue to impress with Marvel's big summer event. Yes it is cliche and yes, it feels like most big Marvel events, but this one feels more cohesive and intertwined then previous events. You have the crew of heroes trapped outside of the earth, the group trapped in New York, and the rest trying to chase down cosmic cube fragments spread out across the earth. Captain America, or Stevil as Rocket calls him, is a ruthless villain and it will be interesting to see if he ever shows signs of cracking. As of this issue, he is not holding back one bit. Add in the intrigue of the ghost like Steve Rogers who appeared at the end of last issue and I am on board. 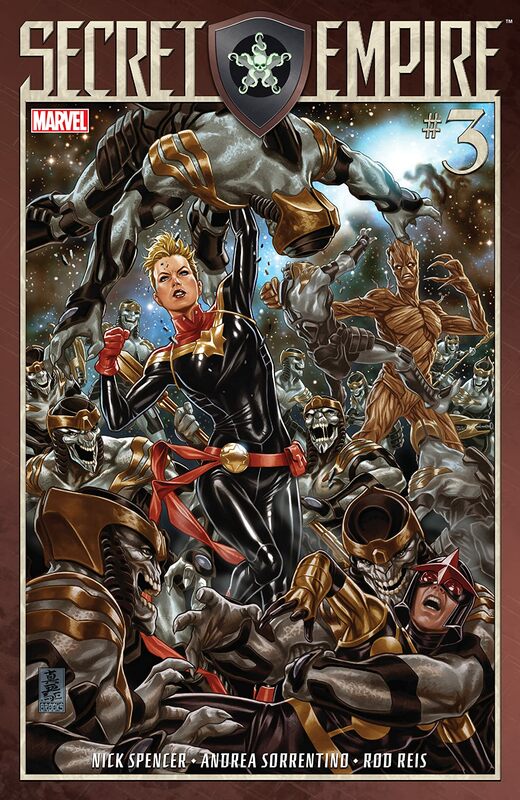 I haven't enjoyed an event this much since Original Sin, despite its lackluster ending. Doctor Aphra #7 - Luke and Aphra are attempting to activate an ancient Jedi crystal, but it turns out that the Queen of the Screaming Citadel is not to be trusted. 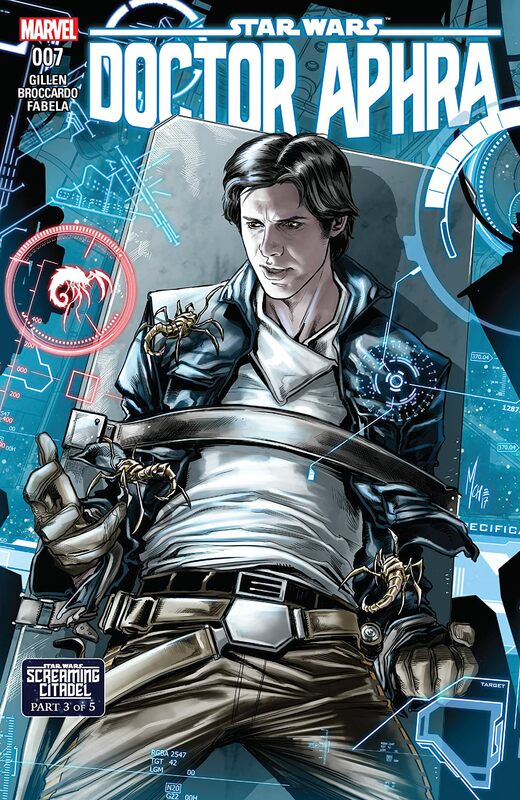 Leia, Han, and Sana arrive to help Luke, but are immediately conflicted as he has befriended Aphra, Beetee and Triple-0. Not sure how they feel about the rogue wookiee Krrsantan. Needless to say, things don't quite go as planned and they learn that the Queen has been weaponizing viruses and symbiotes. The pairing of Leia and her crew along with Aphra and hers is a site to behold. The line of the issue award goes to Triple-0 when talking about how Han was piloting the ship says "The unkempt one insisted he should fly."